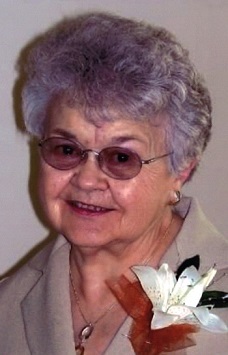 Dorcie L. Runyon, 81 of Mt. Pleasant and formerly of Hillsboro passed away on Thursday, July 27, 2017, at Sunnybrook Assisted Living Center in Mt. Pleasant. Funeral services will be held on Monday, July 31, 2017, at 10:00 a.m. at the Murphy Funeral Home in Mt. Pleasant. The family will receive friends from 5 to 7 p.m. on Sunday at the Murphy Funeral Home in Mt. Pleasant. Burial will be in the Hillsboro Cemetery. Memorials may be directed to the Hillsboro Public Library or donor’s choice in her memory. Dorcie was born on April 6, 1936, in Fort Smith, Arkansas the daughter of James T. and Walsie Mae Turner Stallings. She was united in marriage to Milo G. Runyon on July 21, 1955, in Oklahoma City, he preceded her in death on July 20, 2005. Dorcie worked for Harmony Community Schools, she ran her own flower shop, ceramic and seamstress business for several years, Montgomery Ward, DeJaynes Jewelers, Heartland Inn, Hallmark and retired from Walmart. She was a member of the Hillsboro Baptist Church and the Alpha Club. She enjoyed spending time with her grandchildren and great grandchildren, along with spending time gardening, sewing and cooking. She is survived by her son Gerry (Harriett) Runyon of Hillsboro, two grandchildren: Michael Runyon and Jennifer Nelson, 8 great-grandchildren, and one sister Fern Taylor of Fort Smith, Arkansas. Dorcie was preceded in death by her parents, her husband, one son Milo Eugene Runyon, one great-grandchild, two brothers and three sisters.